The IGS-522-16T4S is a Modbus TCP Industrial L2+ Managed Ethernet Switch with 16 10/100/1000T interfaces and 4 100/1000X SFP slots that withstands -40~75 degrees Celsius. The Modbus TCP switch supports IEEE 1588v2 Transparency, ERPS Ring, DIDO and static Layer 3 routing in a 1U case. With a total switching fabric of 40Gbps, the IGS-5225-16T4S can handle large amounts of data in a secure topology that links to an industrial backbone or high capacity servers. The IGS-5225-16T4S is capable of providing non-blocking switch fabric and wire-speed throughput in temperature ranging from -40 to 75 degrees C without any packet loss or CRC errors. 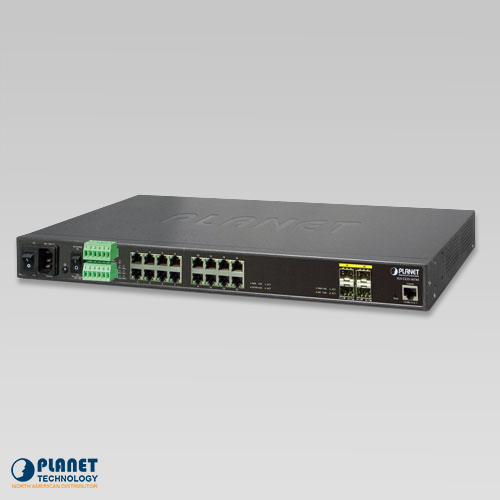 The unit simplifies upgrading a industrial LAN to satisfy increasing bandwidth demands. In addition, the unit adopts a user-friendly “Front Access” design for easy wiring and maintenance of the IGS-5225-16T4S when placed in the cabinet. The IGS-5225-16T4S features a 100~240V AC power supply and dual 36~60V DC power supply that is utilized as redundant power supply to ensure continuous operation. Its redundant power system is specifically designed to handle the demands of high-tech facilities requiring high power integrity. With its 36~60V DC power supply, the IGS-5225-16T4S can be used as a telecom level device and placed in almost any difficult environment. To help the network administrators efficiently manage unexpected network situations, the IGS-5225-16T4S provides Digital Input and Digital Output external alarm device on the front panel. The Digital Input can be used to detect external device activity such as door intrusion. The Digital Output could be used to send an alarm whenever the IGS-5225-16T4S suffers from port link-down or power failure. 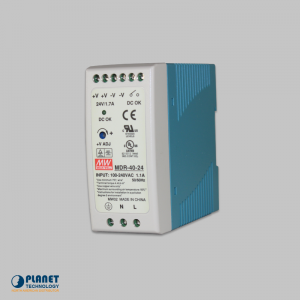 The IGS-5225-16T4S supports a Fault Alarm feature which can alert users of switch failure. This feature simplifies troubleshooting and helps save time and resources. The unit supports both IPv6 and IPv4 protocols helping data centers, campuses, telecoms, and more to support the IPv6 era with a relatively low investment. The unit helps system integrators upgrade without facing the need to replace or overhaul and IPv6 FTTx edge network. 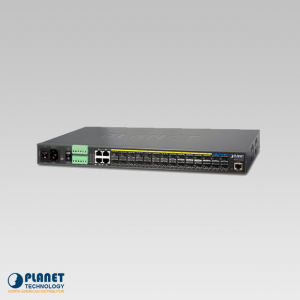 The IGS-5225-16T4S offers IPv4/IPv6 VLAN routing feature which allows the crossover of different VLANs and different IP addresses for the purpose of having a highly-secure, flexible management and simpler networking application. 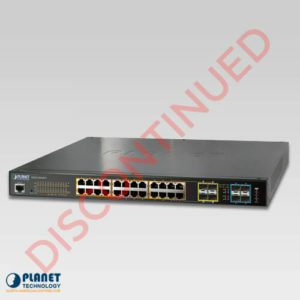 The Switch can be programmed for advanced switch management functions such as dynamic port link aggregation, Q-in-Q VLAN, private VLAN, Multiple Spanning Tree Protocol (MSTP), Layer 2 to Layer 4 QoS, bandwidth control and IGMP/MLD Snooping. Via the link aggregation of supporting ports, the IGS-5225-16T4S allows for the operation of a high-speed trunk by combining multiple fiber ports. The unit supports fail-over as well. The IGS-5225-16T4S offers a comprehensive layer 2 to layer 4 Access Control List (ACL) for enforcing security to the edge. These features can be used to restrict network access by denying packets based on source and destination IP address, TCP/UDP ports or defined typical network applications. 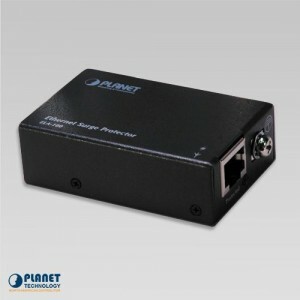 Its protection mechanism also comprises of 802.1X Port-based and MAC-based user, and device authentication. 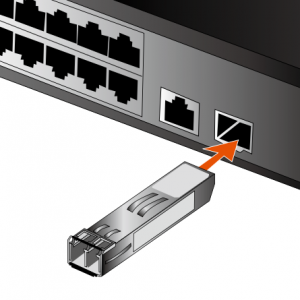 With private VLAN, communication between edge ports can be prevented to ensure user-privacy. 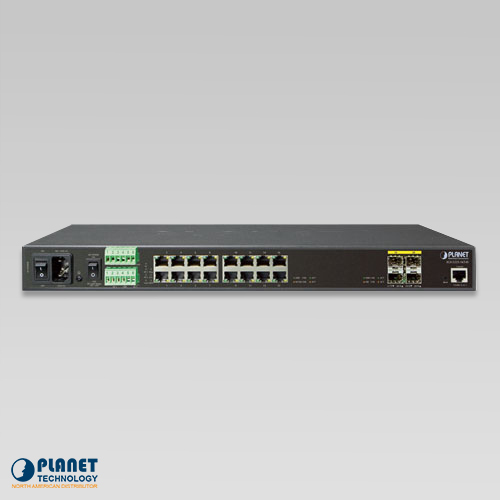 The IGS-5225-16T4S also provides DHCP Snooping, IP Source Guard and Dynamic ARP Inspection functions to prevent IP snooping from attacking and discard ARP packets from invalid MAC address. Network administrators can now construct highly-secure corporate networks in considerably less time and effort than before. 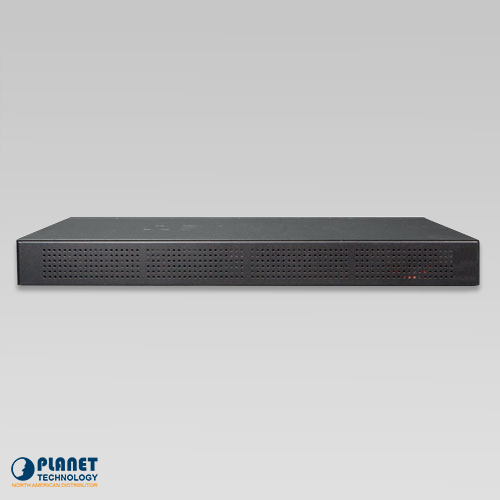 The IGS-5225-16T4S features powerful traffic management and QoS features that enhance telecoms and ISP connection services. The QoS features includes wire-speed Layer 4 traffic classifiers and a bandwidth limit that are particularly useful for multi-tenant units, multi-business units, Telco and network service providers’ applications. The unit also allows the industrial environment to take full advantage of limited network resources. 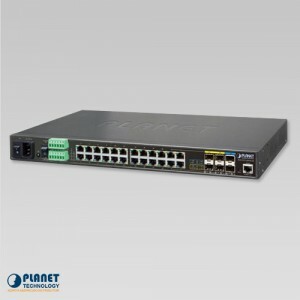 With its built-in Web-based management interface, the IGS-5225-16T4S L2+ Managed Switch offers an easy-to-use, platform-independent management and configuration facility which includes Console, Web and SNMP management interfaces. The SNMP can be managed via any management software based on the standard of SNMP Protocol. The unit offers Cisco-like command via Telnet or console port eliminating the need for customers to learn new console commands. In addition, the unit also offers secure remote management by supporting SSH, SSL and SNMP v3 connections which encrypt the packet content at each session. 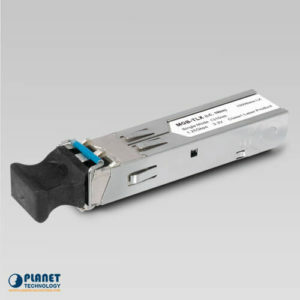 The four built-in mini-GBIC slots support dual speeds as it features both 100BASE-FX and 1000BASE-SX/LX SFP (Small Form-factor Pluggable) fiber-optic modules. 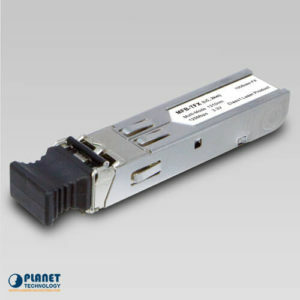 Administrator can flexibly choose the suitable SFP transceiver according to not only the transmission distance, but also the transmission speed requirements. The distance can be extended from 550 meters to 2km (multi-mode fiber) or up to 10/20/30/40/50/70/120 kilometers (single-mode fiber or WDM fiber). 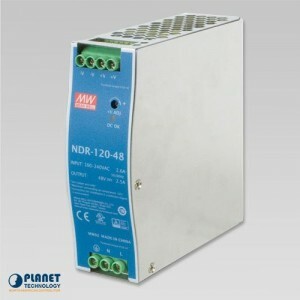 These units are well suited for applications within the industrial data centers and distributions. The IGS-5225-16T4S supports SFP-DDM (Digital Diagnostic Monitor) function that greatly help network administrators easily monitor real-time parameters of the SFP, such as optical output power, optical input power, temperature, laser bias current, and transceiver supply voltage.